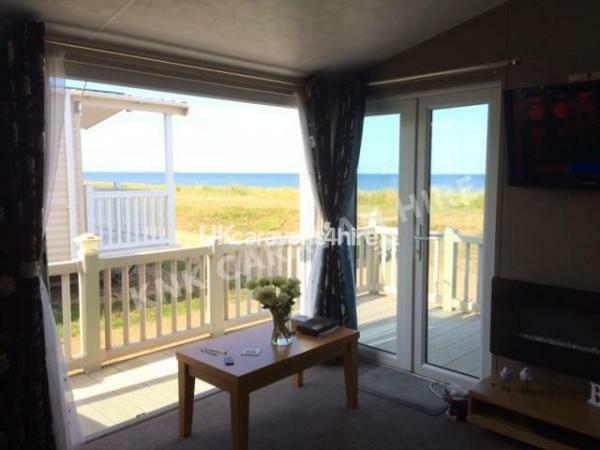 £50.00 non refundable booking deposit will secure your holiday. £75.00 refundable damage waver deposit required. Which will be refunded within 7 days if the caravan is left as found. Booking terms will be sent upon hire of the caravan for signature. Full balance due 8 weeks prior to holiday. 4 persons max. Entertainment passes are not included. 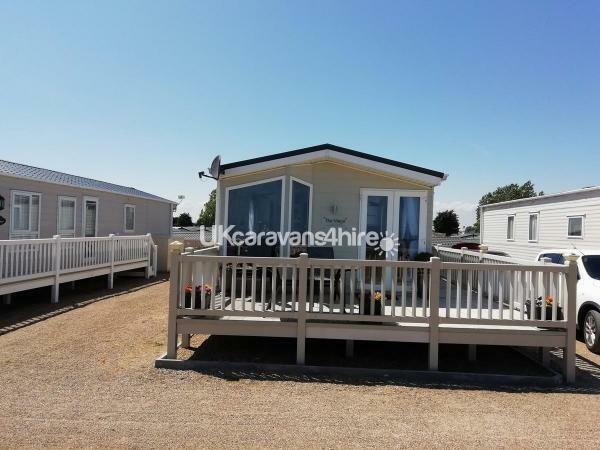 The caravan has an open plan kitchen and living space. 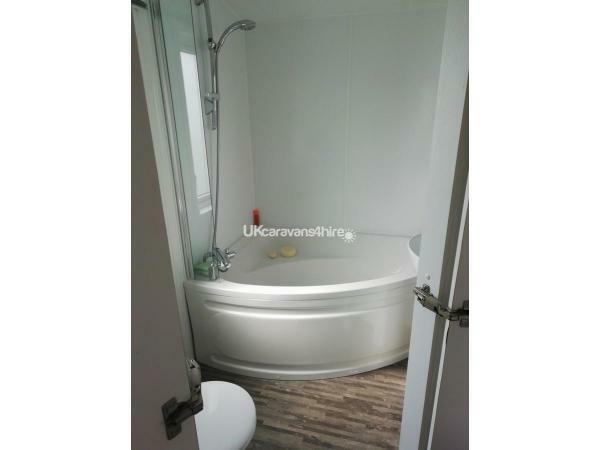 The kitchen area includes, gas cooker, microwave, dishwasher, coffee machine, integrated fridge and freezer, washing machine, iron and ironing board. It has floor lighting in the kitchen. The front living space with gas central heating has a 42 inch TV with sky Q, there is also a modern electric fire with colour changing lighting. 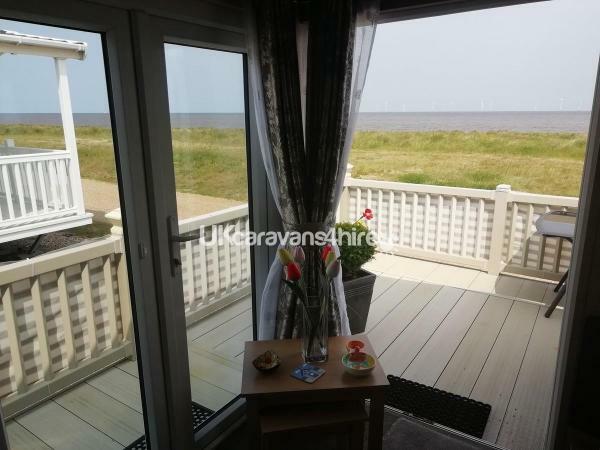 Bi- folding/patio doors leading to the decking area with patio set, overlooking the beach. 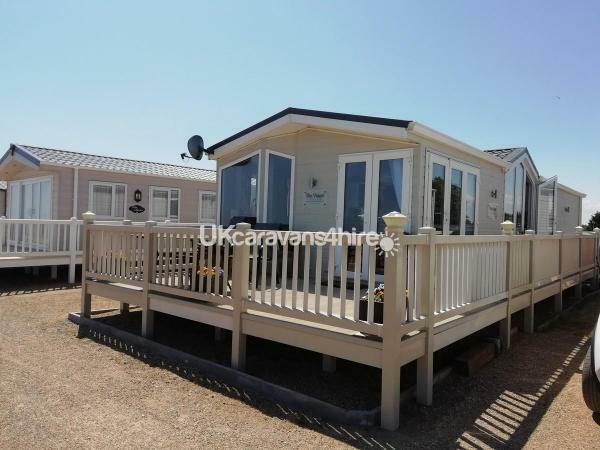 This luxury caravan has 2 bedrooms, a master bedroom with king size bed with en-suite bathroom including a bath. Walk in wardrobe and TV. Second bedroom has 2 single beds with fitted wardrobes and over head cupboards. Second bathroom has a large walk in shower. Additional Info: Children's play area, swimming pool, splash zone,. Bicycle and go-cart hire. Climbing wall, archery. Live entertainment, amusement arcade. Restaraunt/bar, burger King and papa John's. Mini Market with indoor Costa coffee and in store bakery. Regular road train into Great Yarmouth.